Happy New Year and Pit Señor, loves! Yesterday, I attended the media launch of Islands Souvenirs’ Cut and Style 2015. The Cut and Style campaign has only gotten bigger each year. Now in its third year, Islands Souvenirs is collaborating with two of the biggest names in Philippine fashion. 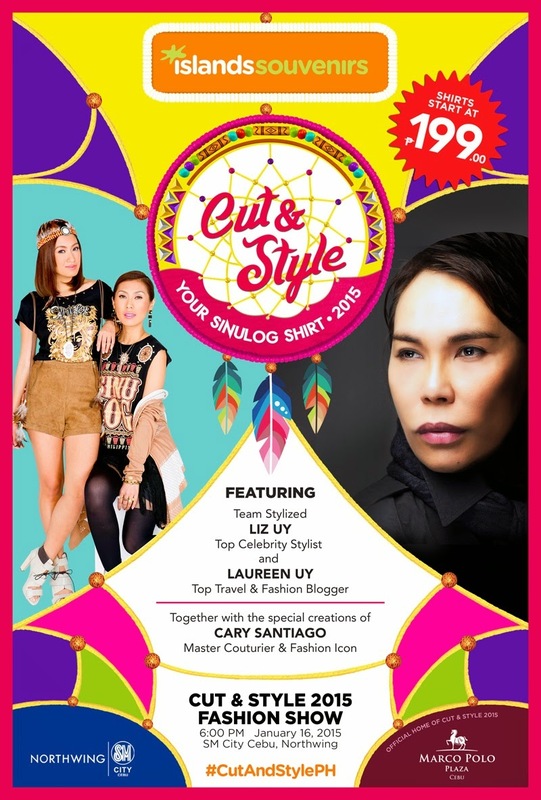 Joining the Sinulog festivities are Top Celebrity Stylist, Liz Uy and Top Fashion & Travel Blogger, Laureen Uy. 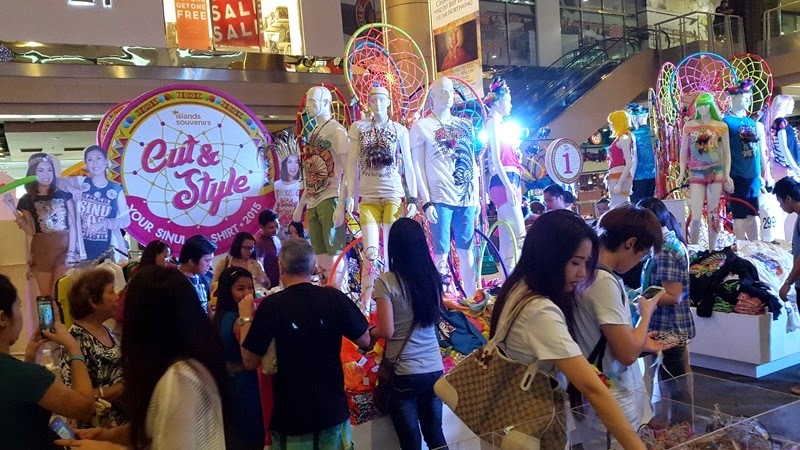 Cut and Style 2015 is the brand’s biggest Sinulog campaign featuring hundreds of never before seen special edition Sinulog t-shirt designs that can be customized according to your personal style. 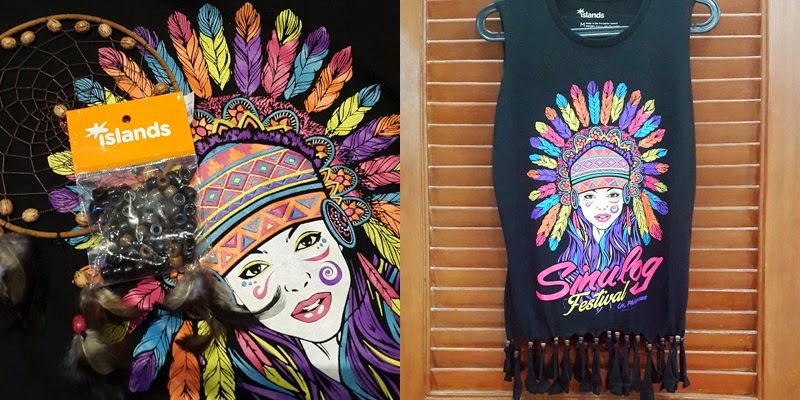 With Cut and Style, customers can create their very own Sinulog t-shirt and wear it any way they want. 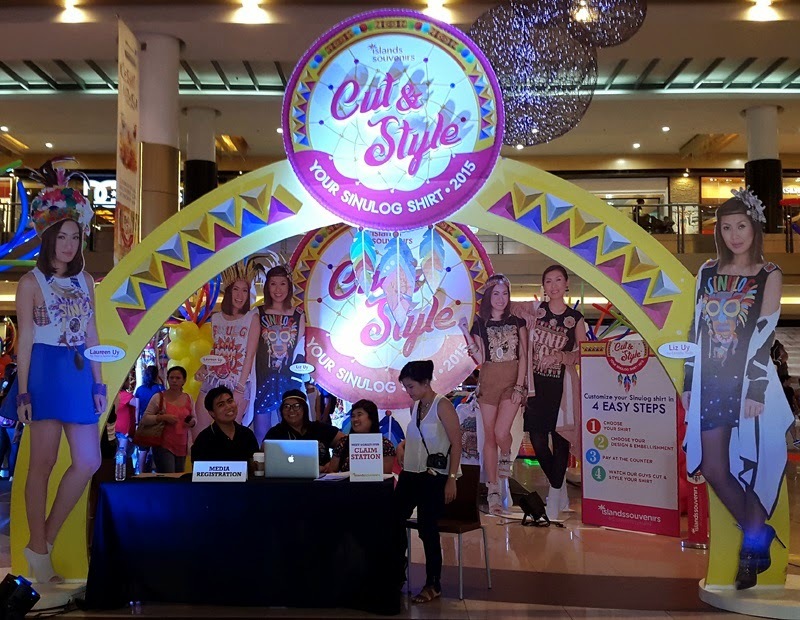 Cut and Style 2015 is currently running until January 18, 2015 at SM Cebu Northwing Atrium. 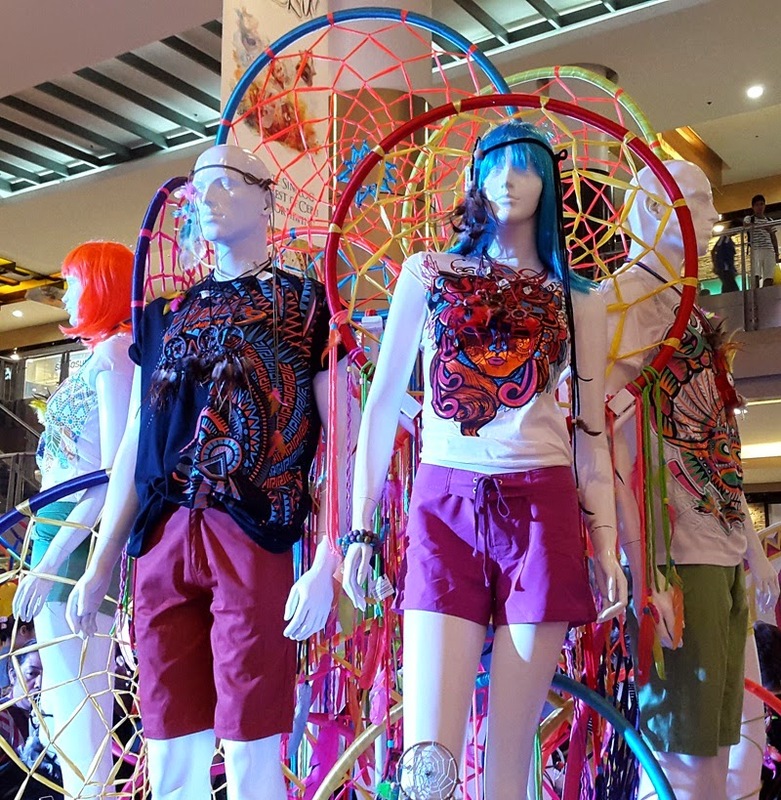 The Sinulog Festival is right around the corner so if you still don't know what to wear yet, you might want to drop by and check out the Cut and Style booths. You can select from a variety of t-shirt designs and embellishments (coloured beads, spikes, studs and poster paint.) To complete your festival look, you can also purchase accessories such as feather head dresses, dreamcatcher necklaces, bracelets, feather earrings and whistles. So what are you waiting for? Create your very own Sinulog t-shirt today. Cut it, paint it, embellish it― make it your own! Ta-da! I chose this printed black shirt, a large dreamcatcher accessory and a pack of black & brown beads. 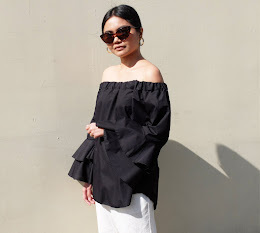 I went for a bigger shirt size as I wanted the fit to be a bit loose and opted for a sleeveless beaded-fringed design. It took me a while to decide how I wanted to style my shirt as there were so many designs to choose from. FYI, if you're not very good with styling or reinventing clothes, the Cut and Style Team can help you. They have a lookbook card/ cutting style guide that features sample t-shirts that have been cut and styled already. Just give them your Sinulog t-shirt, your set of embellishments and your chosen shirt design and you're good to go! During yesterday's media launch, we also got to meet this year's Cut and Style Brand Ambassadors. Laureen and Liz talked about their go-to festival accessories, how to customize your Sinulog t-shirts and how to look stylish and comfortable while watching this Sunday's Sinulog Grand Parade. On January 16, Cebu personalities and social influencers together with both Brand Ambassadors will converge for the grand Cut and Style Fashion Show. Catch the special-edition Sinulog 2015 t-shirt designs from Islands Souvenirs cut and styled like you’ve never seen before. Celebrity guests and personalities will strut their stuff on stage in numerous Fashion segments featuring some of Cebu’s biggest local brands. To top it all off, Master Couturier and Fashion Icon, Cary Santiago, will cap off the show with his special creations. Cut and Style is available in Islands Souvenirs SM City Cebu, Ayala Center Cebu, Robinsons Cybergate & Magallanes (across Magellan’s Cross.) Cut and Style 2015 Event Partners include SM Northwing (official event venue,) Marco Polo Plaza Hotel (official hotel partner,) Cebu Pacific Air, Devant (official TV provider,) Cafe Laguna and J.Co Donuts.